We are an Accra based car rental booking company, focused on providing the highest level of service to our customers who are looking for a car rental in Accra and Ghana. At Autofrica.com our care is to provide affordable and fast car rental in Accra and the rest of the country. We help you find the right car for your budget in a matter of seconds with few clicks on your computer, laptop, tablet or smartphone. Our service only allow you access to amazing price of car hire options in Accra and Ghana. Associate yourself with a Ghanaian owned car rental booking company that has proven itself with a track record over the past years in Ghana. Whether you're looking for a short-term or a long-term car rental rental deal in Accra, Kumasi Takoradi or anywhere in Ghana, our car rental booking system in Ghana is available and open to all kinds of car rental deals. Our car rental booking portal is built to deliver straight-forward service to minimize the time you'd otherwise take to find the perfect rental car for you in Ghana, ensuring comfort, affordability and safety. Points of interests ind Ghana are countless and spread across our beautiful country. Visit your selected locations in Ghana with ease and at your pace with an addordable car rental service in Ghana. 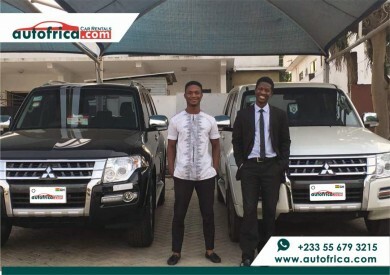 At Autofrica, we are dedicated to making sure you get the best car rental deals in Ghana. So be prepared for that. Autofrica is a car rental booking system in Ghana. We also provide Airport Pickup and drop services. Our car rental system and service make the complete experience of travel quick, safe and enjoyable in Accra,Takoradi,Cape coast and many other places in Ghana. The car rental service and system we have built for you in Ghana is provided for tourist, families, corporate people, one-day trip users, multiple trip users….